Samsung Electronics Co., Ltd., today unveiled its spectacular new line-up of SUHD TVs at the Samsung Southeast Asia Forum 2016 in Kuala Lumpur, Malaysia, ushering in a new decade of global TV leadership. Samsung’s 2016 SUHD TVs offer outstanding picture quality with Quantum dot display, its first bezel-less curved design which is beautiful from every angle and a smart user experience that makes it easy for consumers to access all their entertainment and content in one place. Samsung’s 2016 SUHD TVs feature cadmium-free, 10-bit Quantum dot display, offering sharp, true-to-life picture quality, with stunning brightness, exceptional contrast and the most lifelike colors ever offered by Samsung. This new range of Samsung SUHD TVs will provide a premium high dynamic range (HDR) experience, with 1,000 nit HDR minimum for a higher level of contrast between light and dark images. New Ultra Black technology also significantly reduces light reflection, further enhancing picture quality with minimal glare. Inspired by nature, Ultra Black absorbs natural light the same way that a moth’s eye enables it to see better at night. 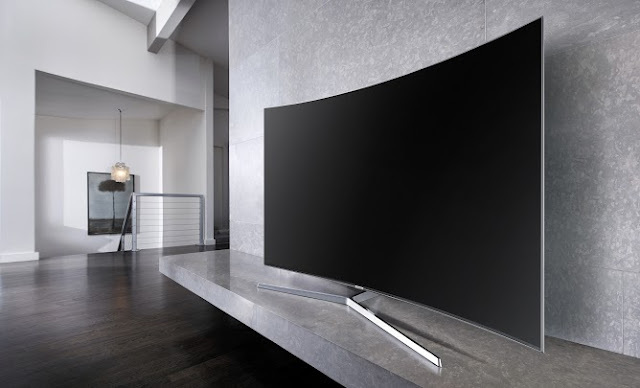 Four years after introducing its first Curved TV, Samsung is proud to introduce its first bezel-less curved TV to the world. Samsung is proud to unveil the KS9000 SUHD TV that provides a more immersive viewing experience. With no bezel that normally functions as the border, the viewer’s attention is focused purely on what matters most – the captivating content on the screen. In keeping with this design ethos, Samsung has sought to eliminate all unnecessary elements, even removing all exposed screws from the rear of the TV to create an elegant device that is beautiful from every angle. Built on the Tizen operating system (OS), Samsung’s 2016 Smart TVs make it easier for consumers to discover and access all their favorite content and services, from TV and movies to games and program information, all in one place. 	New Smart Hub – The 2016 Smart Hub is designed to provide users with simple access to their favorite content all in one place. Live TV, Over The Top (OTT), games and even the menu that appears on the home screen of the Samsung Smart TV allows users to access their favorite programs as soon as they turn on the TV. 	Samsung Smart Control remote – The new Samsung Smart TV eliminates the need to juggle multiple remote controls. The Samsung Smart TV will automatically recognize the type of game console, OTT box or home theater system that is connected to the TV. This allows users to control such external devices with the Smart Control remote — with no setup required. 	Smart View – The Samsung Smart View mobile app allows users to share their favorite content instantly with their family. The upgraded Smart View is now available on not just Samsung Galaxy devices, but supporting Android and iOS devices, as well as Windows PCs. Samsung also unveiled its first Ultra HD Blu-ray Player, the UBD-K8500, which is HDR compatible and offers four times the resolution and 64 times detailed color expression of a conventional Samsung Blu-ray player. When paired with Samsung SUHD TV’s Quantum dot display, the new UHD Blu-ray player, which features a sleek, curved front design, delivers a level of picture quality never before seen in the home. The UBD-K8500’s built-in upscaling technology enhances the picture quality from standard Blu-ray discs and DVDs, and also allows consumers to play CDs. Innovation and an unwavering focus on consumer needs have always been at the heart of what Samsung does. Samsung unveiled a myriad of localized features in its 2016 Smart TVs which are developed based on in-depth understanding of evolving tastes and unique needs of consumers in the region. 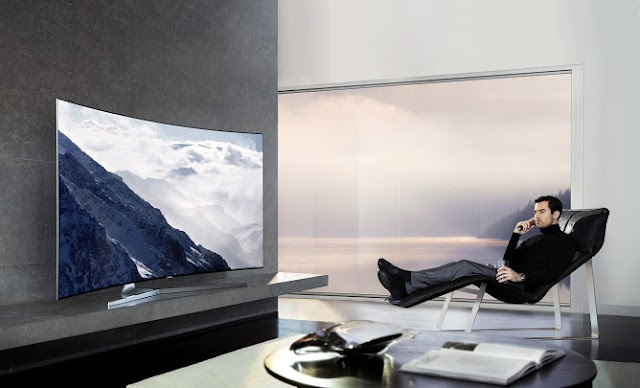 	Samsung’s All Care Protection – The new Samsung 2016 Smart TVs will now feature “All Care Protection,” an enhancement to Samsung’s Triple Protection that guards Samsung TVs against damages caused by unstable conditions such as electrical surges, lightning and humidity. With the All Care Protection, Samsung TVs are designed to minimize ventilation to limit dust and insects. In addition, the Samsung All Care Protection allows only permitted files to be played, minimising risks from viruses. 	TV PLUS – Samsung launched TV PLUS, a new video service that provides seamless experience by combining the linear TV experience into online video content with ease. With TV PLUS, consumers in Thailand and Vietnam will only need an active internet connection and TV PLUS channels will be automatically added.